Tanks rumbled, aircraft thundered and cannon sounded on May 6 2018 as Bulgaria held its traditional Armed Forces Day parade in Sofia, the largest such parade in several years. The start of the parade was marked by a flypast by a Bulgarian Air Force Mi-17 helicopter carrying the national flag, flying just 100 metres from the ground. 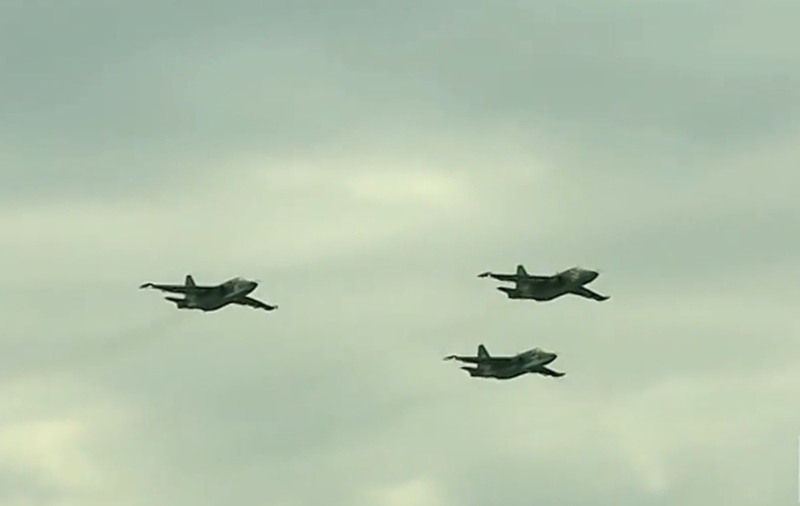 The flypast involved 14 aircraft, including Cougar helicopters, Spartan transport aircraft, Pilatus training aircraft, MiG-29 fighter jets and Su-25 jets. On the ground, through the centre of the Bulgarian capital city, there was a procession of military vehicles, including T-72 tanks, missile carriers and armoured cars. 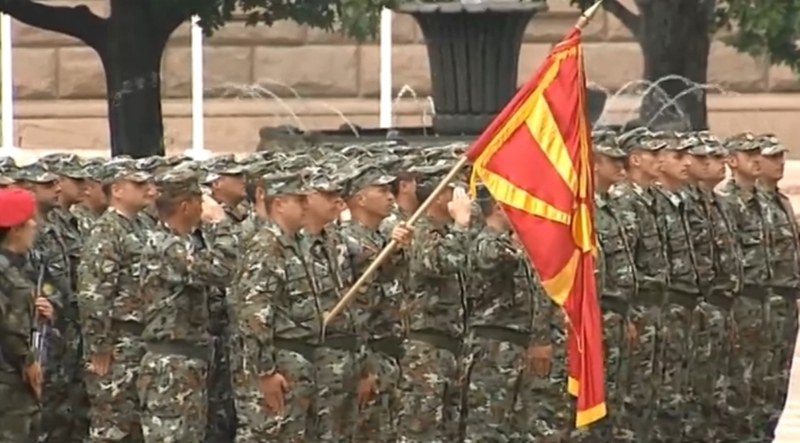 The parade included, for the first time, a company of military personnel from the Republic of Macedonia. In recent months, relations between Sofia and Skopje have become warmer, with the signing of a good-neighbourliness agreement that has been in the works for many years. Radev, a former Air Force commander and fighter pilot who was elected president on a ticket backed by the opposition Bulgarian Socialist Party, said that in the past “the heroism of the Bulgarian soldier has often paid the price of political spoils and short-sightedness”. A frequent critic of the government on the issue of military modernisation, Radev called for thinking about the people and equipment that are called on to defend Bulgaria. A day earlier, Bulgaria – current holder of the rotating Presidency of the Council of the EU – hosted an informal meeting of EU defence ministers. Prime Minister Boiko Borissov told the meeting that Bulgaria was actively modernising its armed forces and enhancing their capabilities and has clear funding and budget funding for projects for a new fighter, land-force equipment and ships in the coming years. Earlier, Defence Minister Krassimir Karakachanov said that projects for the acquisition of fighter jets and armoured vehicles would be put to a Cabinet meeting on May 9. Borissov told the EU defence ministers that the funds and efforts being put towards common European defence were a “positive but insufficient step”. Referring to the target of Nato member states dedicating two per cent of GDP for defence spending – a threshold Bulgaria has not met – Borissov said that this was a “lot of money”. “The colleagues from Nato, as well as the colleagues of PESCO (a project for EU countries to enable joint development of defence capabilities, investment in shared projects and enhancement of the operational readiness of their armed forces), can make a much more accurate estimate of what each member state should prioritise…a priority should be identified for each country, each country should be assigned particular products to manufacture, so as to be able to keep its defence potential, the scientists and engineers who work in its defence industry,” Borissov said.